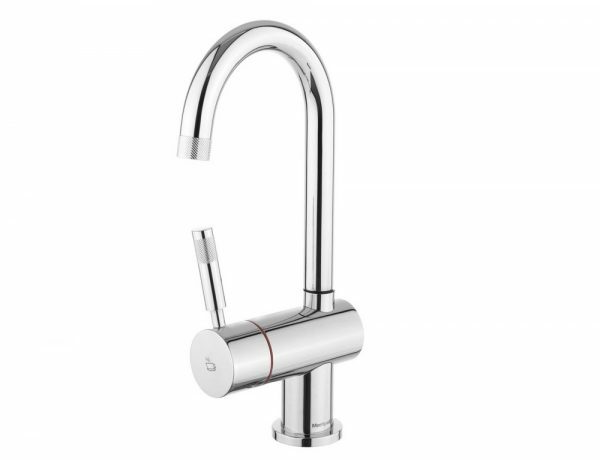 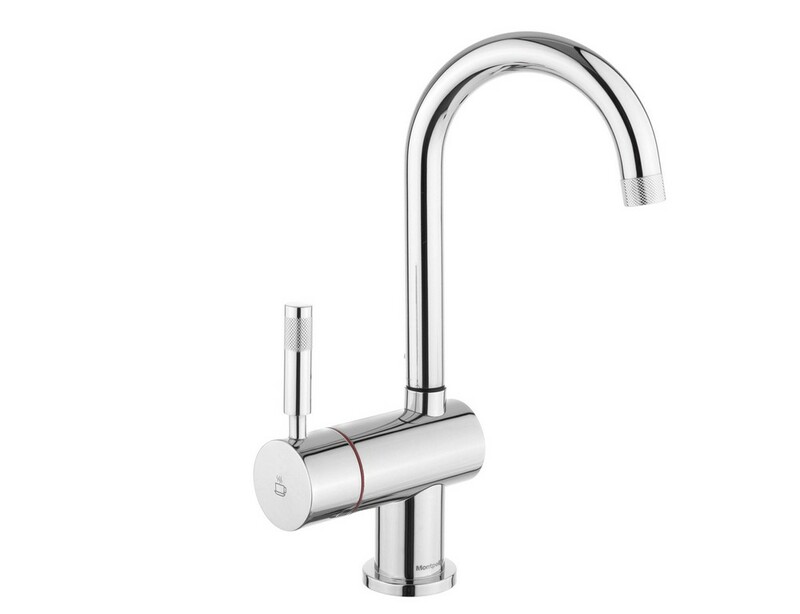 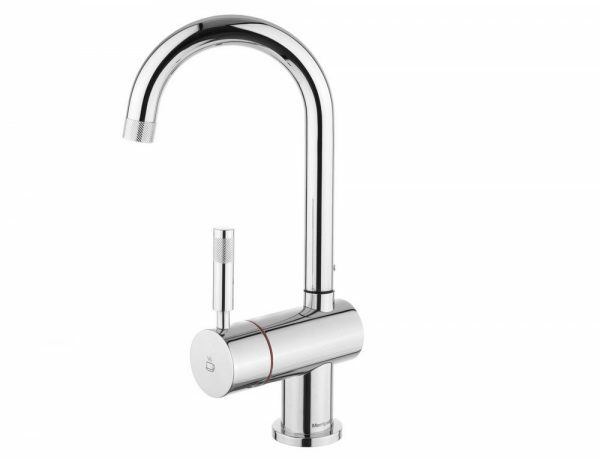 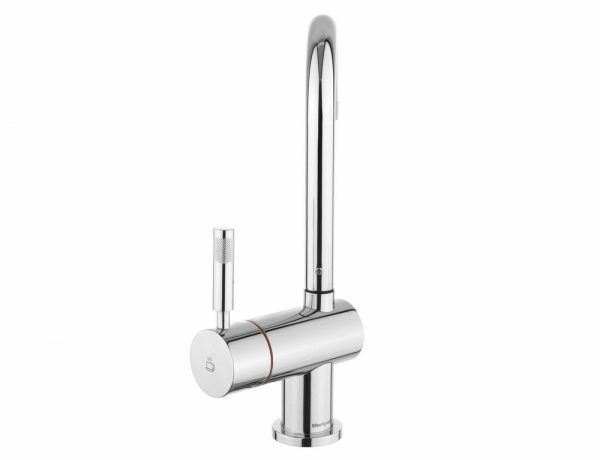 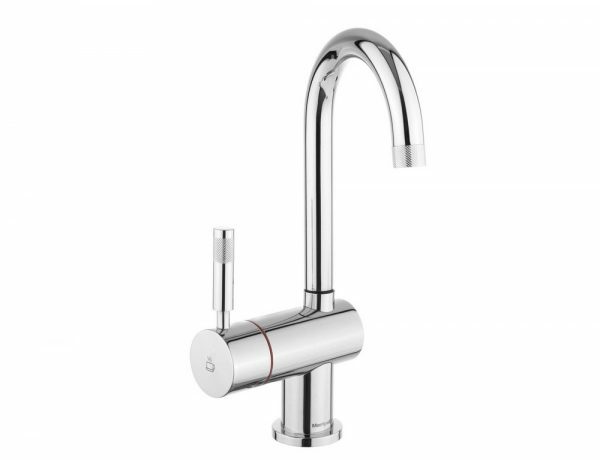 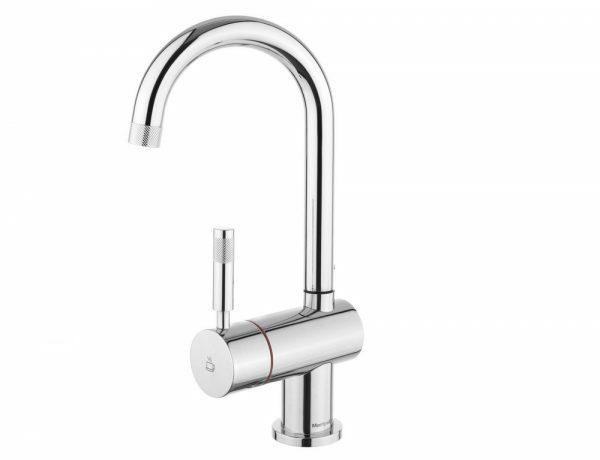 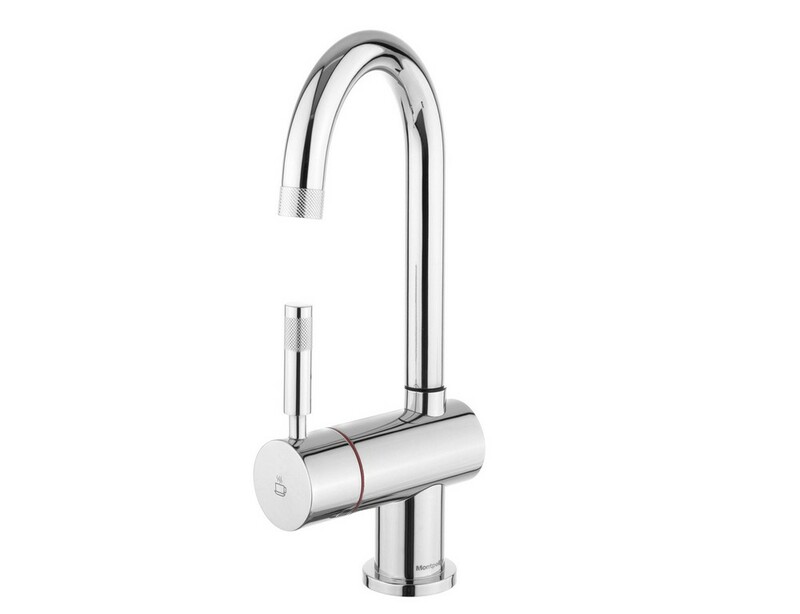 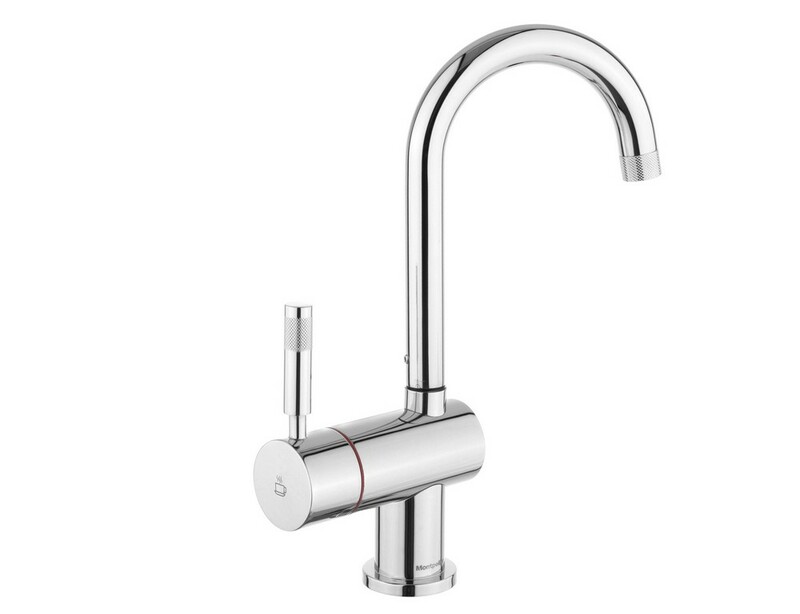 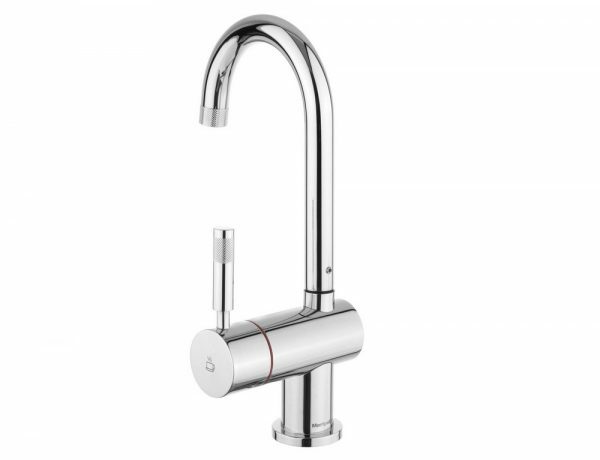 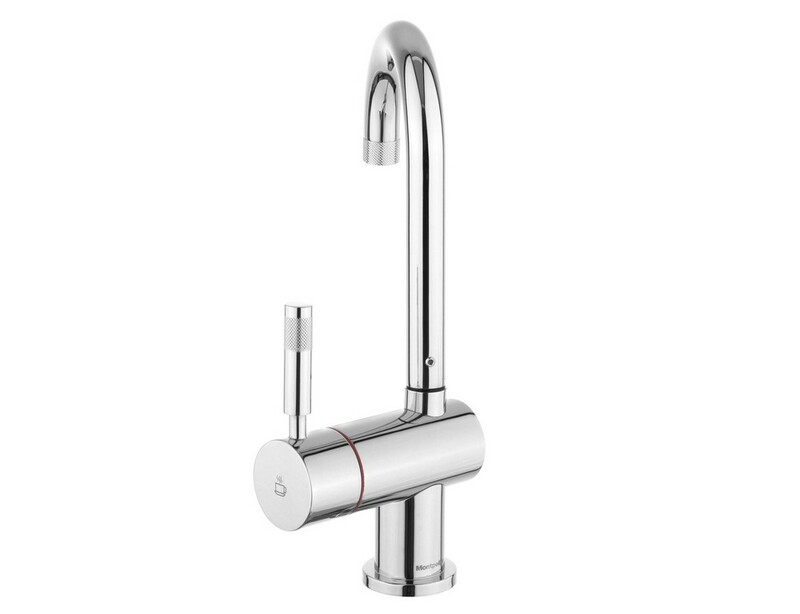 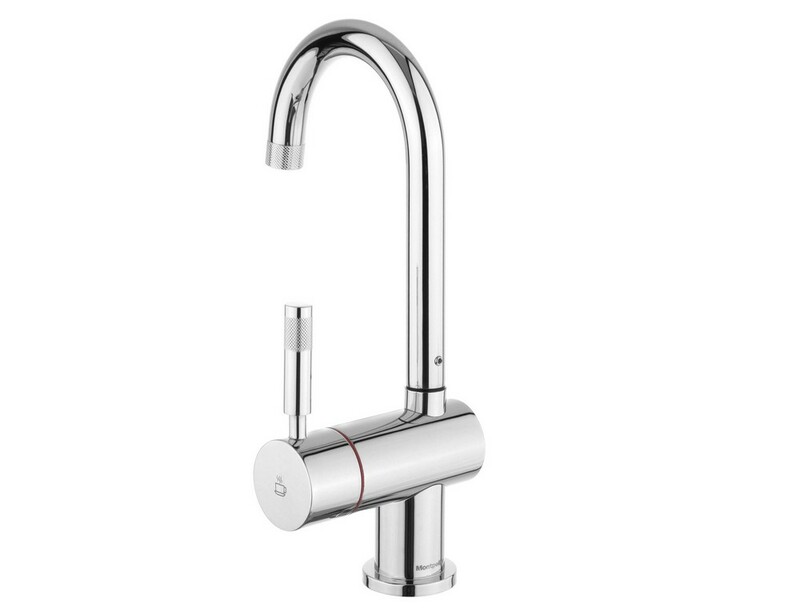 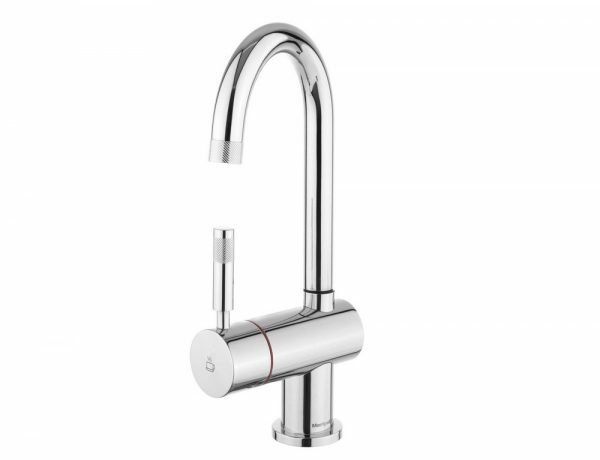 Montpellier Onestream-Chrome is an elegant and stylish swan spout streaming hot water tap. 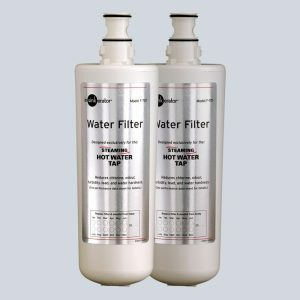 The OneStream offers instant near Boiling 98’c whenever you need it. 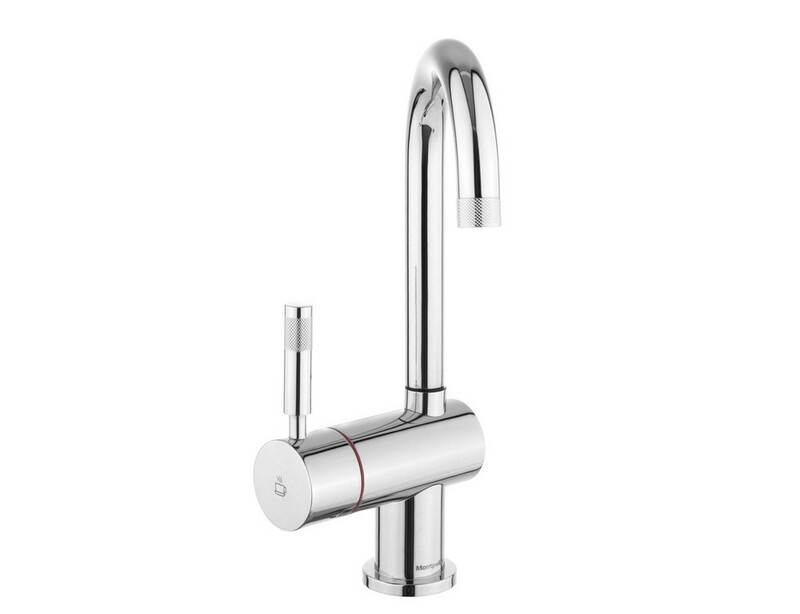 This stylish hot water tap also has a filtration system that filters your steaming water, this is ideal for hard water areas and prolongs the life of your tap. 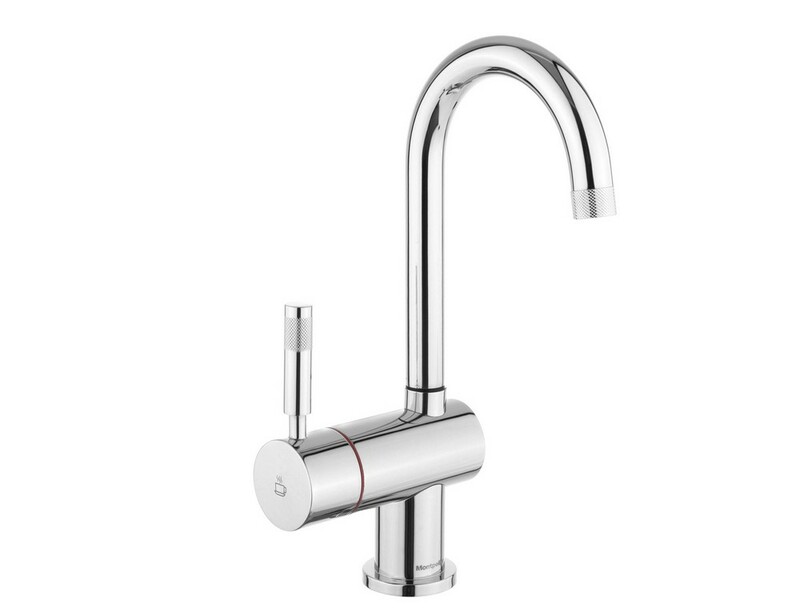 With safety in mind the OneStream has an insulated spout including an inner pathway for steaming water ensuring the tap stays cool to the touch. The steaming hot water is produced by an industry leading and innovative boiler unit. 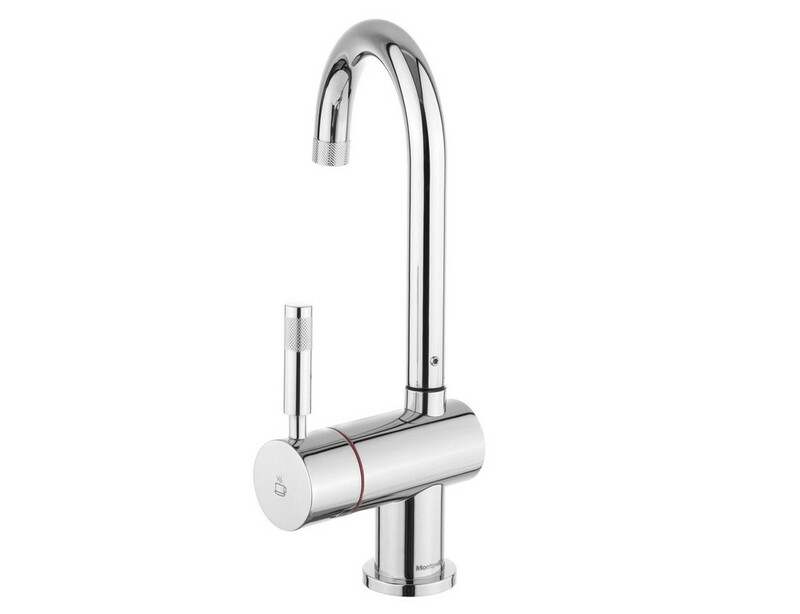 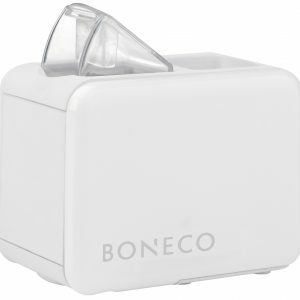 This offers variable temperature control and a 2 liter tank capacity. Unlike many other systems on the market the OneStream Boil 3 is easily maintained and serviceable, including a descale inlet and removable tank lid for easy clean options and access. Say goodbye to your kettle with this dedicated, near boiling hot water tap. 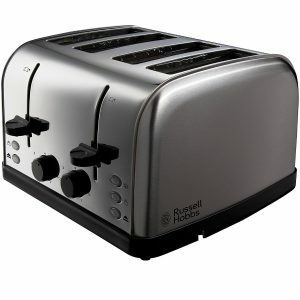 What’s included? Tap, Boiler Tank, Water filter and fittings. 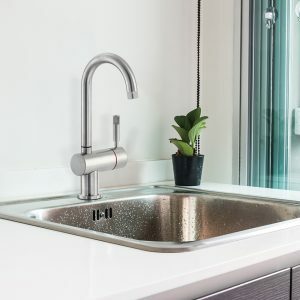 All you need to complete installation. 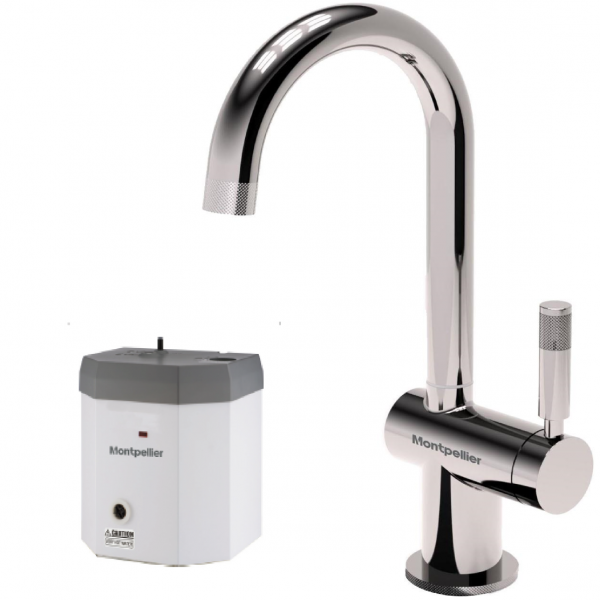 Aside from providing boiling water for your teas and coffees, the Montpellier OneStream is great for food preparation, cooking and even cleaning around the house and the 360 degree spout makes it easier to fill up pots and pans alike. 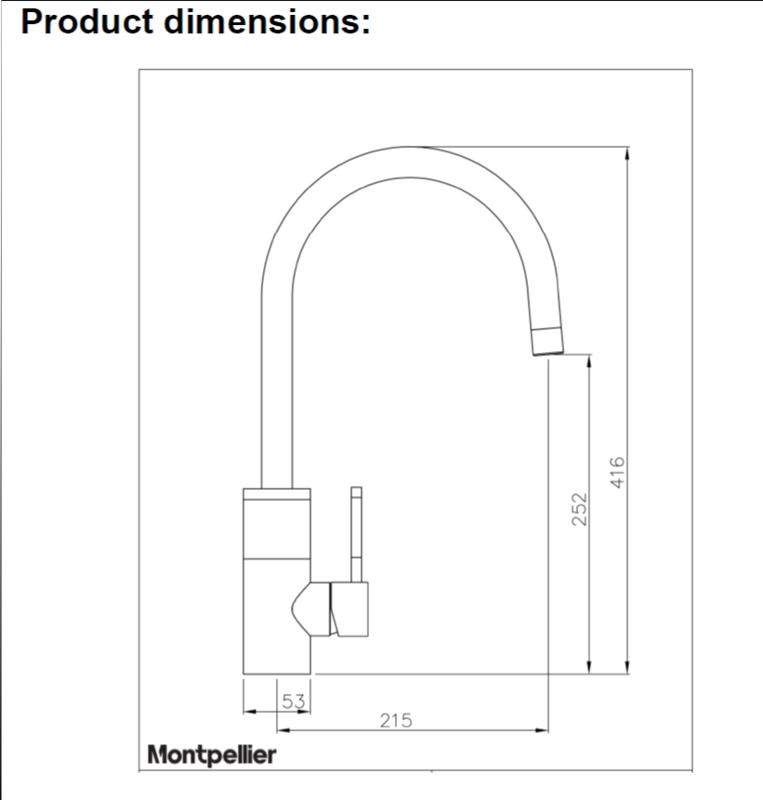 You can view the entire Montpellier range by visiting our dedicated Montpellier Brand Page. 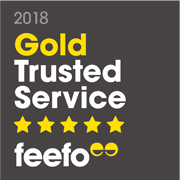 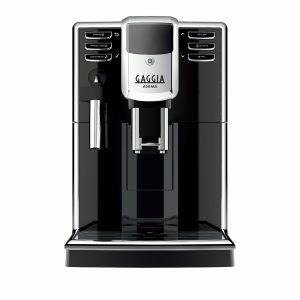 View all Kettles & Hot Taps….